Christine on the right, was a WP client in 2006. 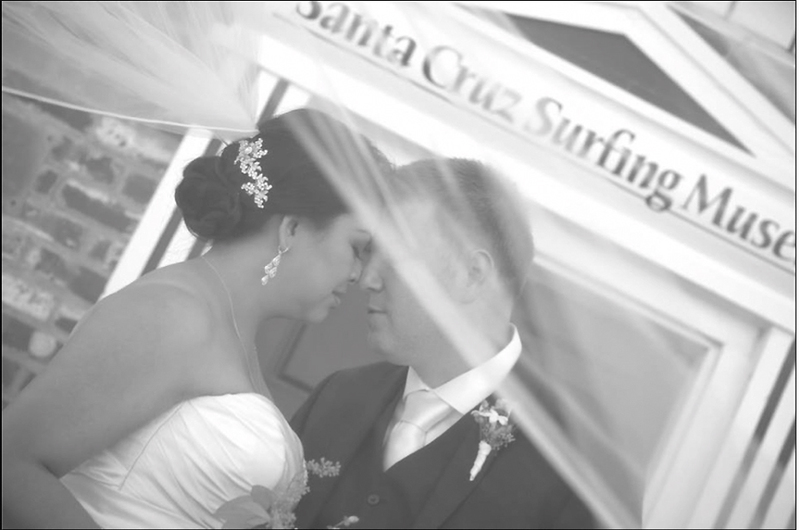 We love her very much, she always referred new brides/ clients to us. 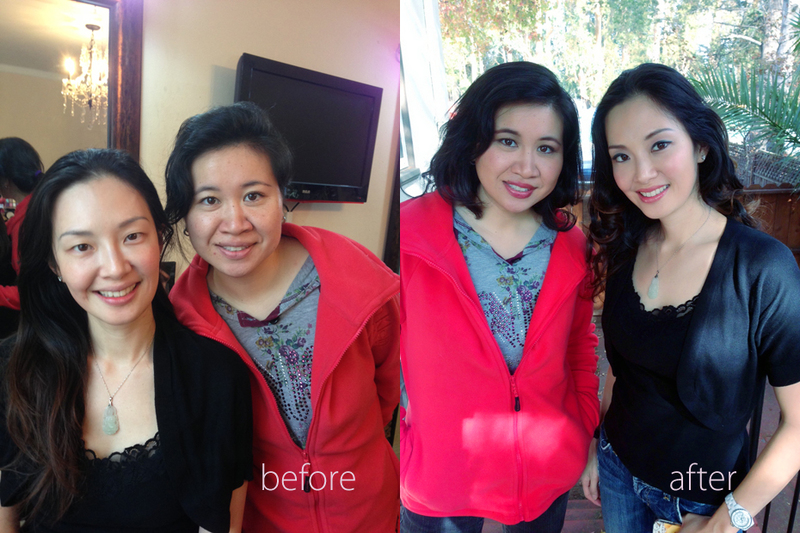 Today she brought her 2 friends to join WP makeup lesson. Here are before / after pictures. Makeup done by their selves! 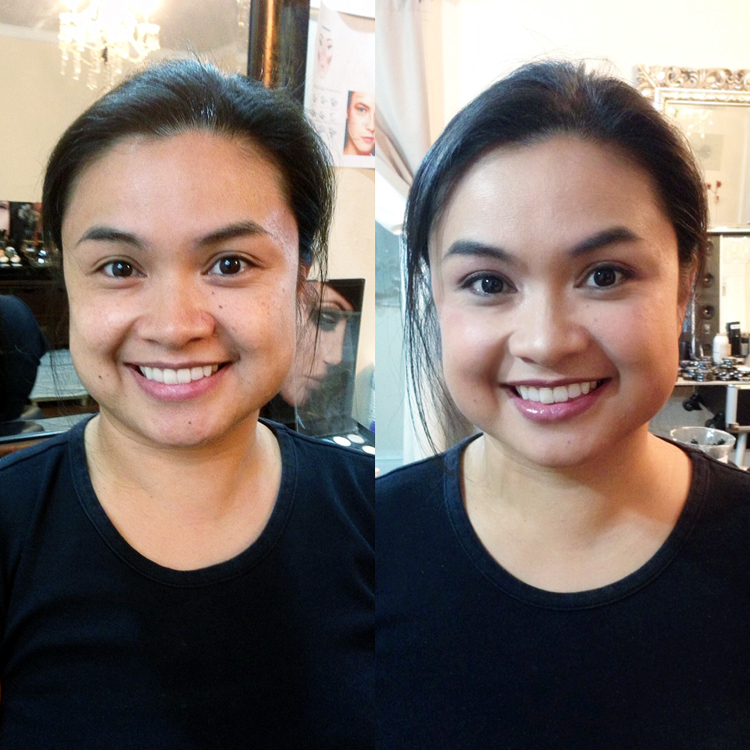 One of wowpretty makeup lessons today ‘s Nancy & her best friend. 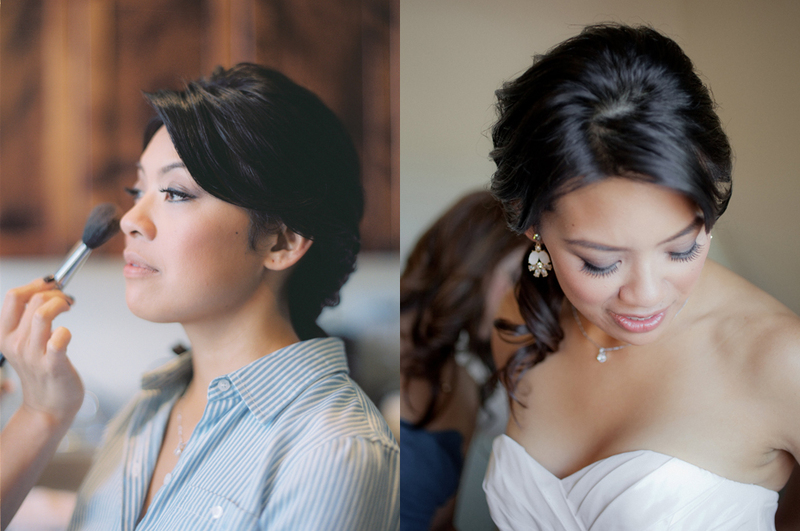 We’ve met Nancy (the right) when she was a WP bride in 2010. Time flies…!! Nancy is a young hot beautiful mom who looks for light and dark makeup also fake lash application. 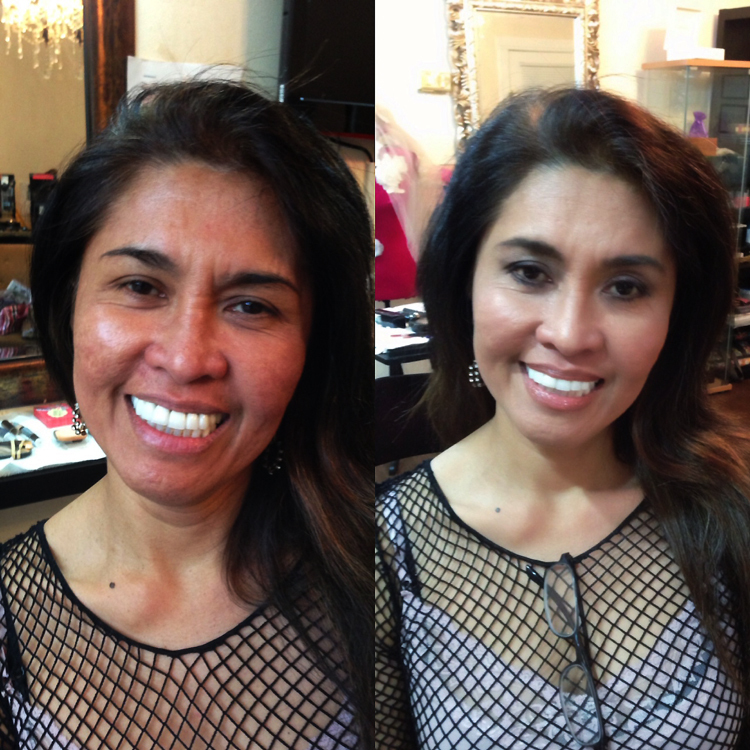 Nancy friend ‘s Dani from Basie just came here for vacation, she needed a light crimp for her work and needed us to correct her skin tone and both of them learned a iron curly trick for daily use. We had so much in the class. Here before/ after pics. After makeup picture done be Nancy and Dani!! 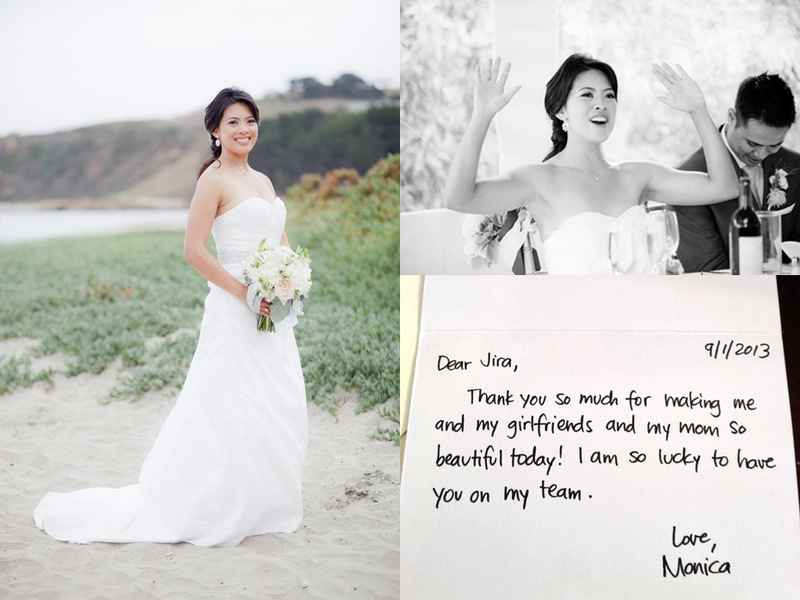 One of WP makeup lesson lovely students ‘s Liezl, is a part time wedding event specialist, Wowpretty has worked with her 7 years ago but today WP was not for wedding makeup but WP make lesson for herself! 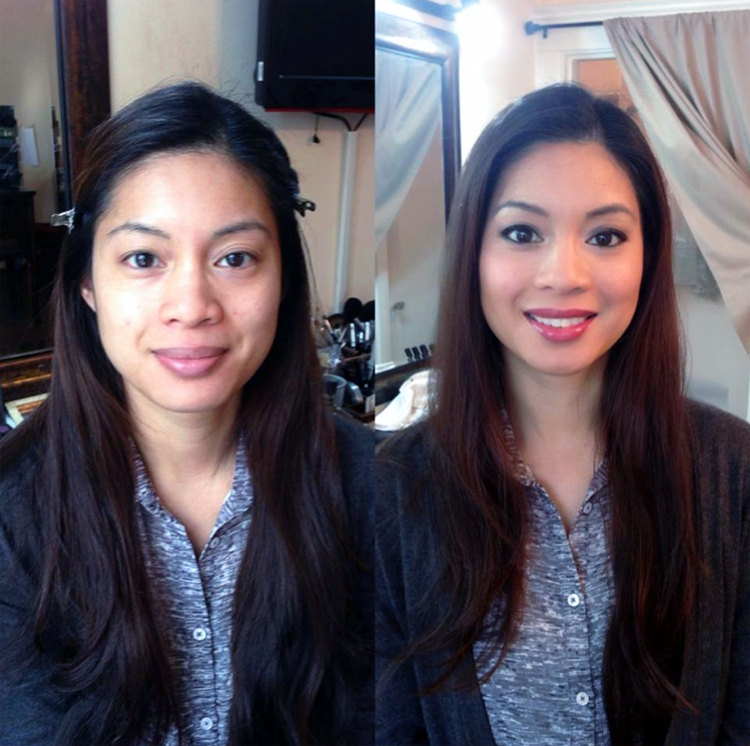 Liezl looks for a daily makeup plan, not something super dramatic but flattering enough on her face for everyday use ) very light makeup. 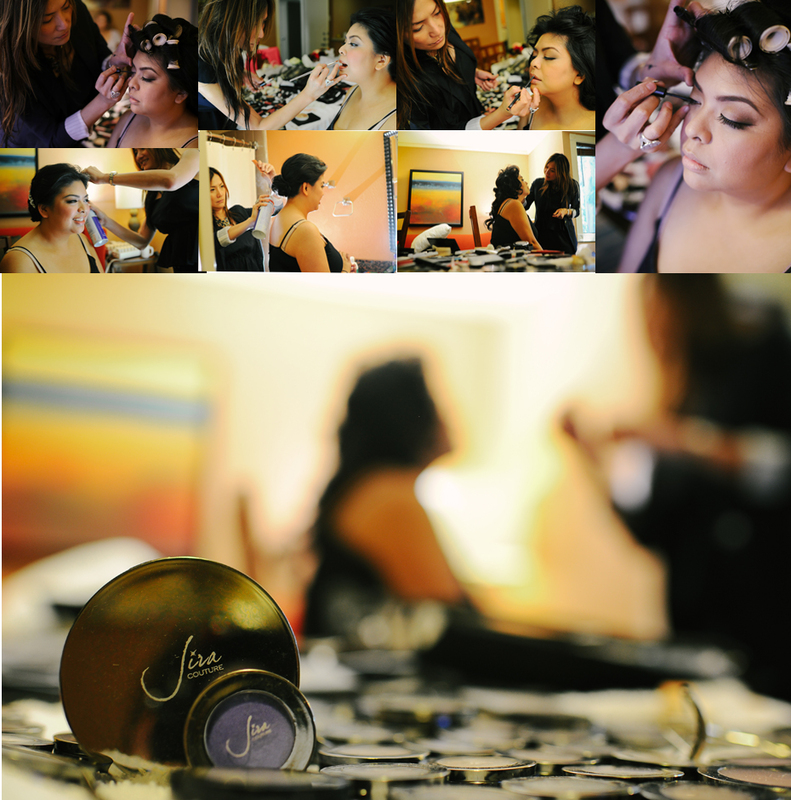 She also wanted to learn night time makeup and wedding event makeup tricks for her wedding career. She wanted to learn application- what colors fit onwhat eye shapes, new makeup techniques, and brush applications! We showed her 5 eye application techniques to fit her best and all her requests were satisfied! Here is before / after picture. Makeup done by her! 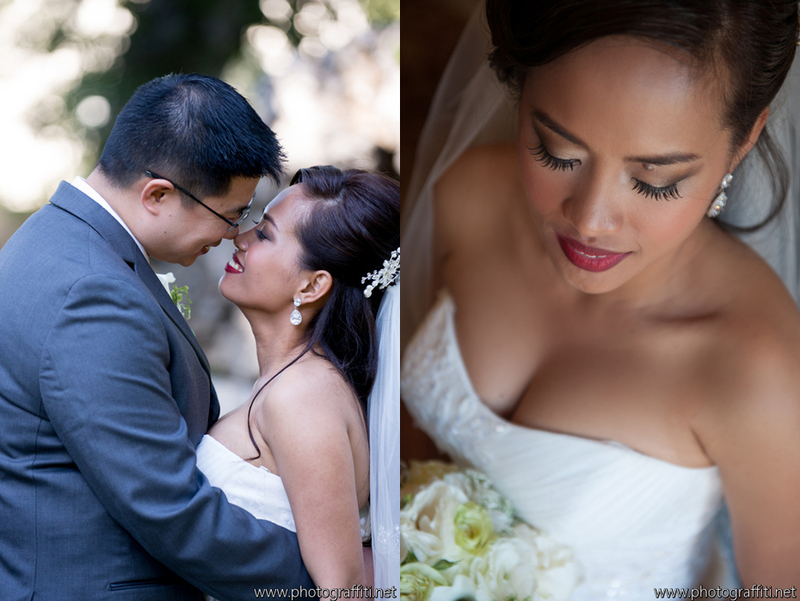 Makeup and Hair : Jira and Anna of Wowpretty Makeup and Hair Agency. 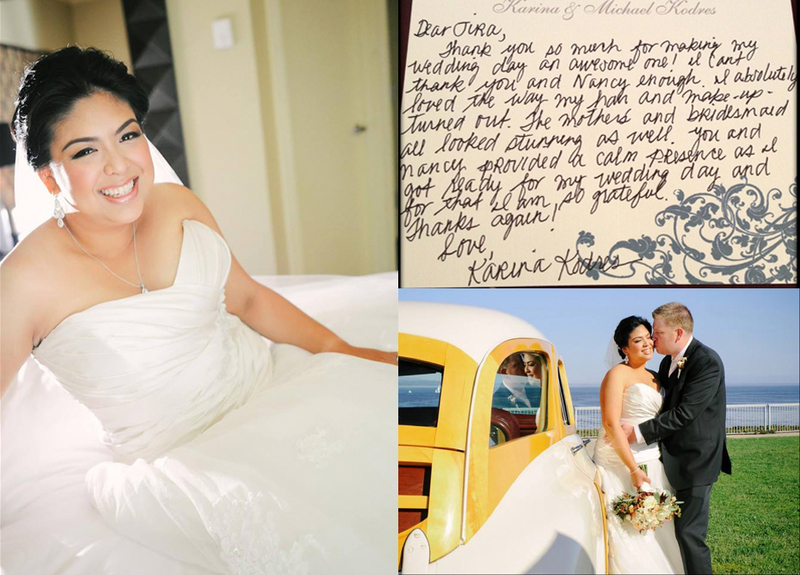 Beautiful Filipina Bride… Look at how happy they are on their wedding day… we are so lucky to be a part of days like this… Bride is from Los Angeles, we worked with her and strove to give her everything she needed!